Festive season is upon us and with that we are all looking for the new dress and new bag. Particularly we want to get new clutch that will add that something extra to our outfit. For that occasion I took the liberty to choose the best party bags you will love this season. 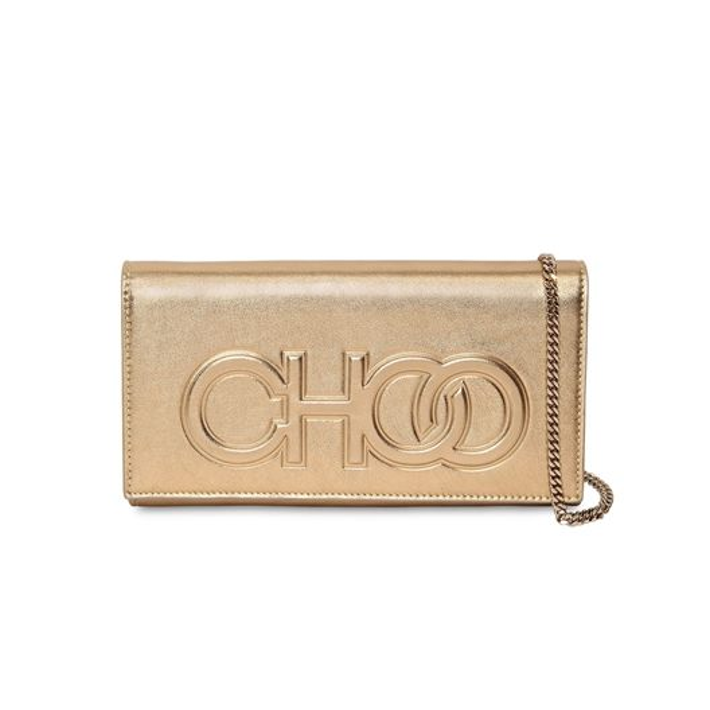 First is the Jimmy Choo gold clutch with a chain shoulder strap. Gold and silver are always best colour for the festive seasons. This Jimmy Choo is elegant, simple and will fit with most of the cocktail dresses you will put on. Also what I like is that the logo is very subtle and makes the bag more interesting. The next one is a pouch by Les Petits Joueurs. This party bag is cute and reminds me of bags from silver screen, don’t you think? I like the embellished stripes that continue to create a fun fringe. It also has added shoulder strap. 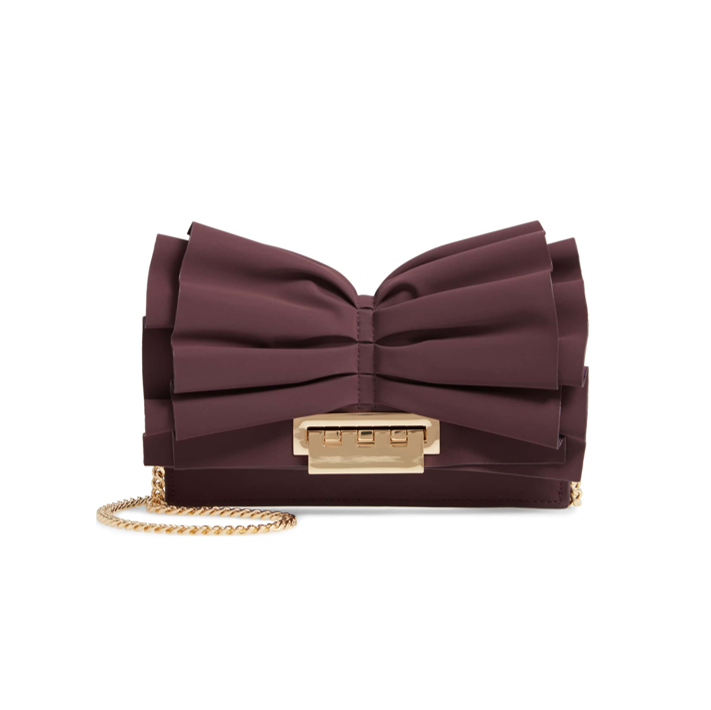 This burgundy Zac Posen shoulder party bag is my next choice because of the ruffles and the colour. 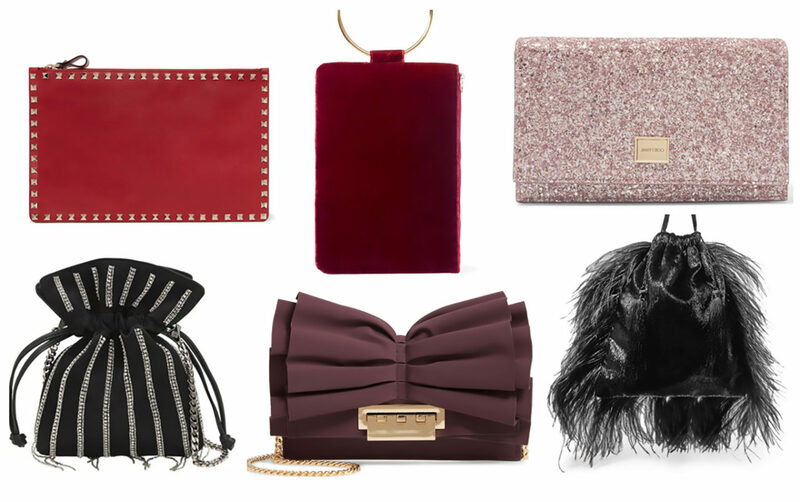 Burgundy is a perfect colour for fall and winter and the ruffles are a hit in clothing, so why not on the bags? 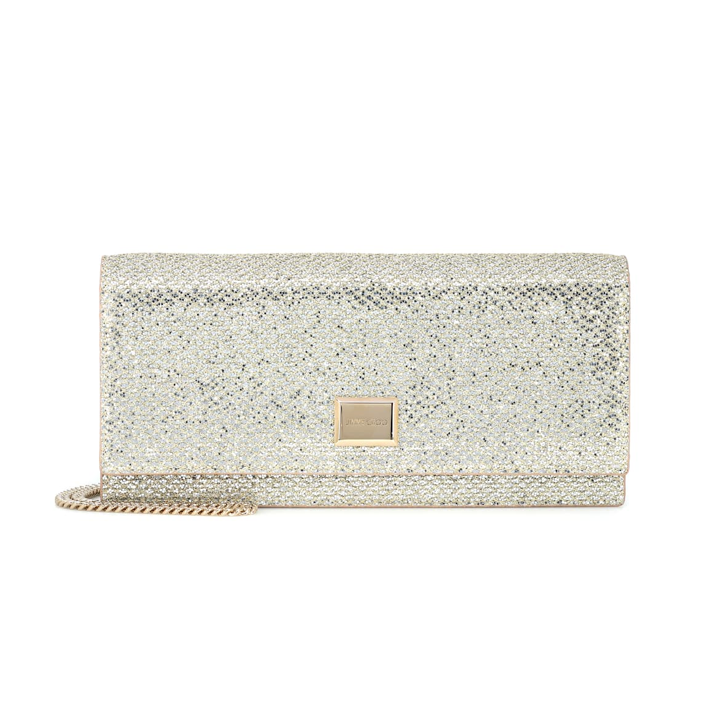 Another Jimmy Choo clutch, this time glittery piece. What can scream more celebrations than a good amount of pink glitter? 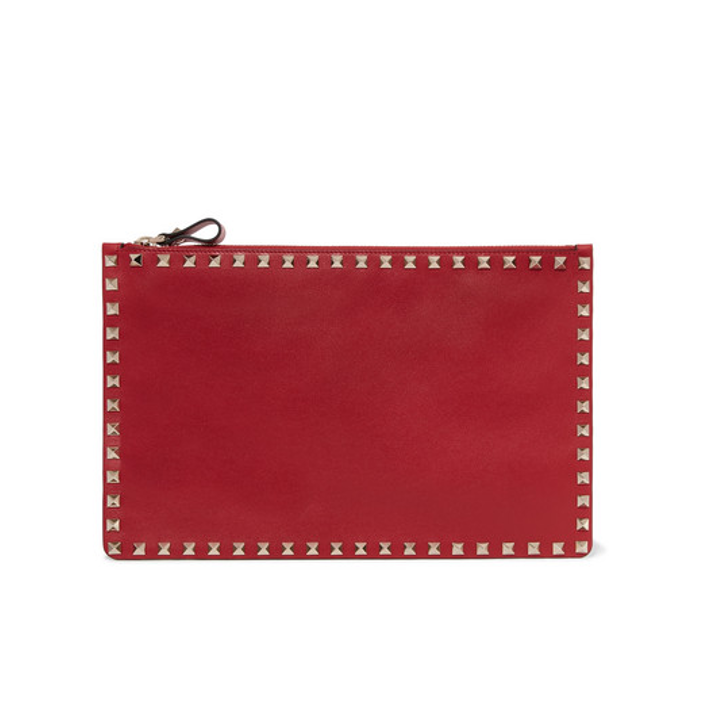 Valentino bags are always recognisable and this red clutch will be ideal to take you from day drinks to evening cocktails. Also red colour is very festive and ideal for all Christmas parties. There isn’t a better fabric then velvet on a party bag which you want to take to a party. 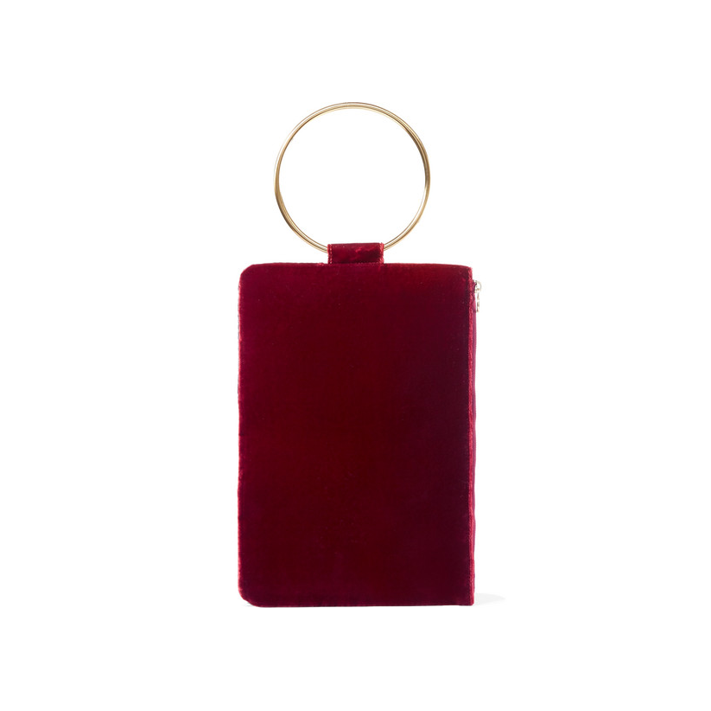 I love this Tara Zahed red velvet bag for its shape and the golden ring. I must say, all her bags are super cool, but this red is great for a party. 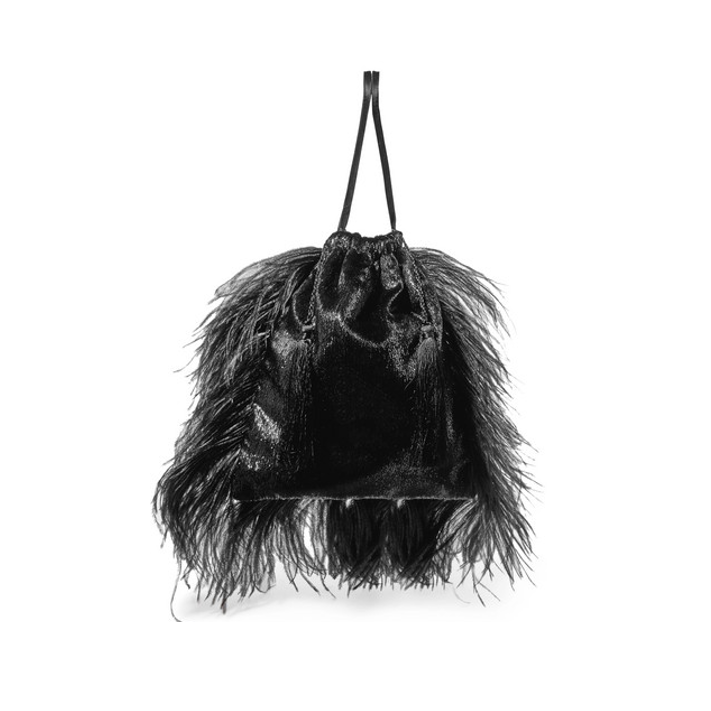 My next choice is more of a statement piece by Attico, with the feathers all over the sides. For this party bag you just need simple dress, or pants and top and you will stand out from the crowd. Third and last of the Jimmy Choo party bags. This is the most classical bag from their clutch collection and you can even match it with these shoes. 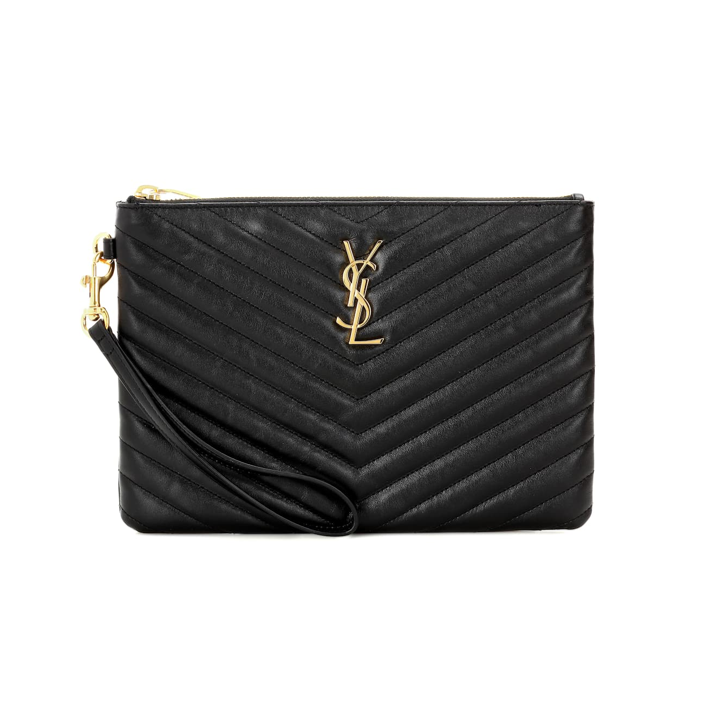 It is one of the most elegant bags here, which will never get out of fashion. 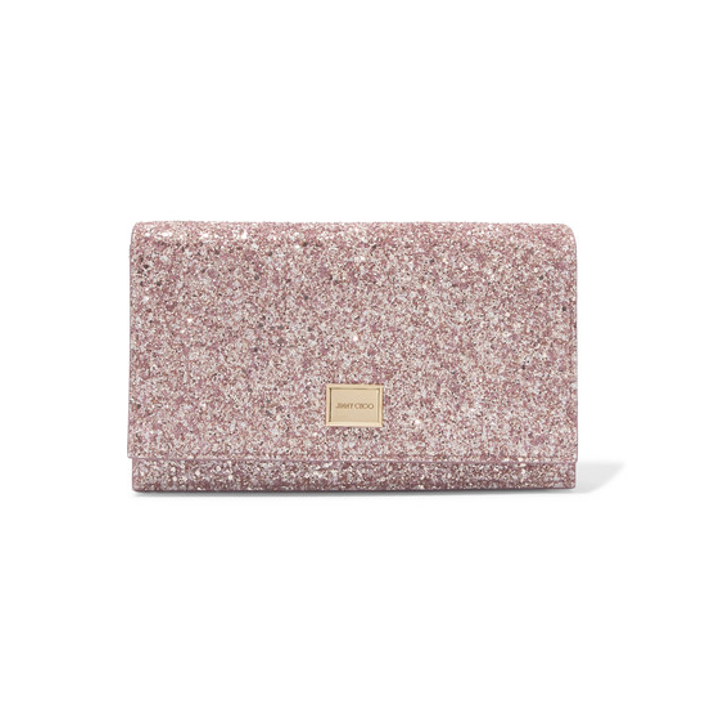 If you are more of sporty girl and don’t like much of a glitter, then this Saint Laurent clutch is perfect for you. I appreciate the wrist handle as clutches that have no handles at all can be a bit annoying to hold the whole evening. 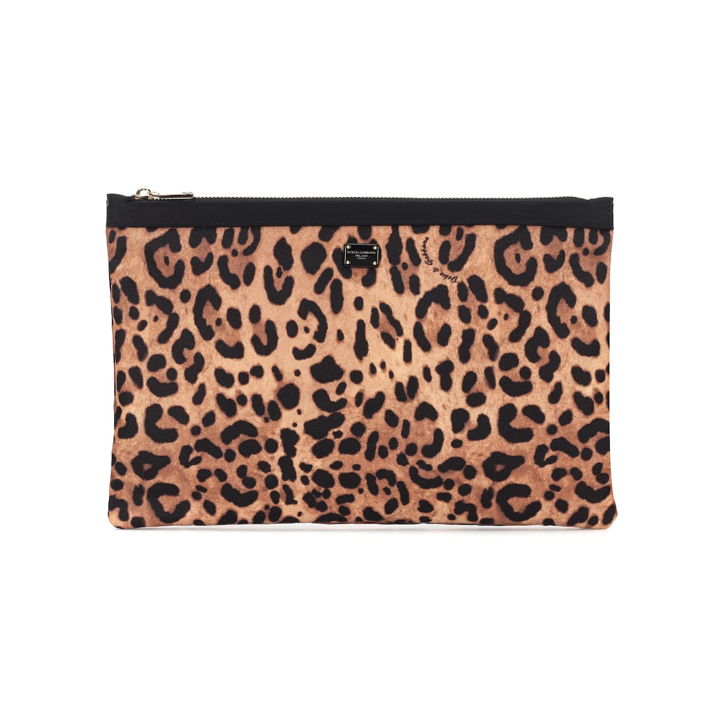 Last but not lest is this animal print Dolce & Gabbana pouch. This fall the animal print is bigger then ever so witch this clutch you will be perfectly on trend. It will look amazing with all black outfit, as it is stand out much more. Do you wear party bags? Which one is your favourite?